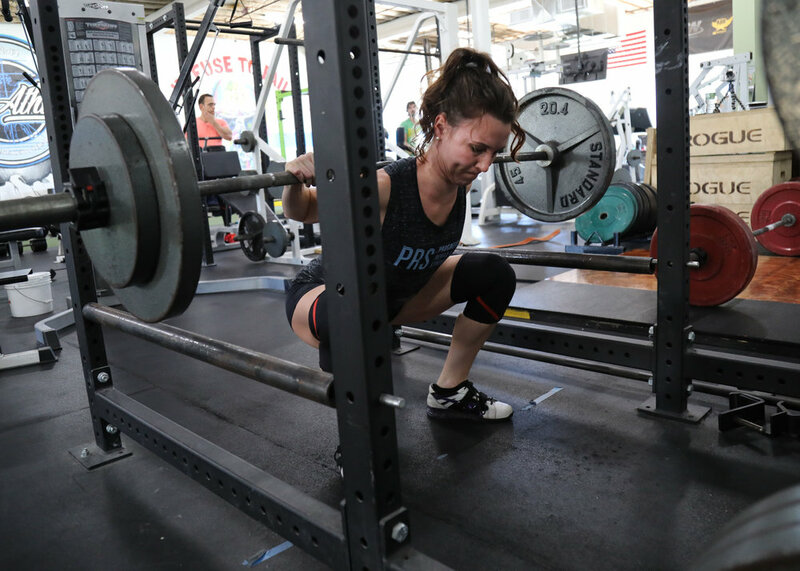 PRS coaches work with individuals ranging from highly competitive powerlifters and bodybuilders to stay-at-home moms helping them achieve their competitive or fitness goals in the most effective and safest manner possible. A unique nutrition and/or strength program is designed using a flexible dieting approach and basic barbell lifts customized to the client’s individual goals (includes custom competition prep as needed). With PRS private coaching you start with a 30-minute coaching call and continue with direct contact with your coach on a regular basis. Programming and nutrition is adjusted as needed based on your progress to facilitate your goals. Under her nutritional guidance and training programming, I was able to increase my strength while transforming my body to the leanest I have ever been in my life. My preparation was very smooth with continuous progress without an extreme caloric deficit, and now she has me eating more than ever while maintaining weight.